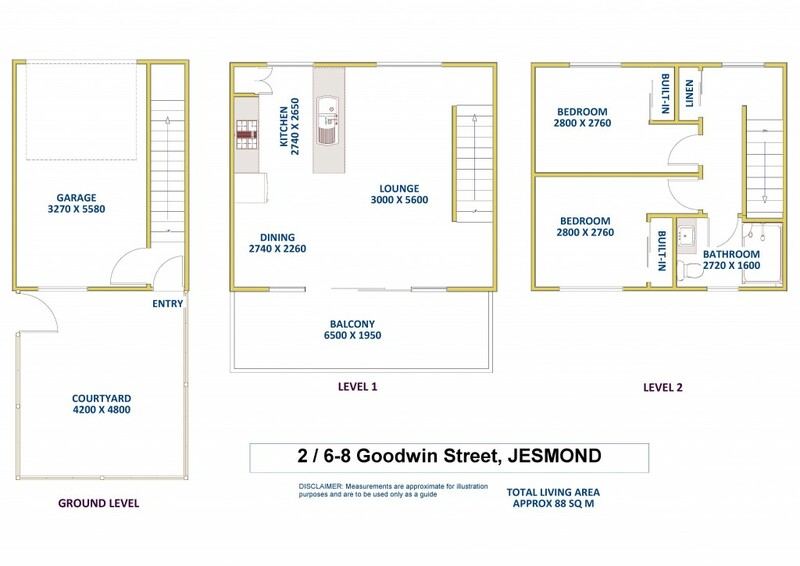 This townhouse unit is positioned close to Newcastle University with walkway and cycleway to the university and Stockland shopping centre. Built in mid 2012, these townhouses are only six years old, ideal for an investor or first home buyer. The design has entry via the secure courtyard at the front of the property with car admittance to the large garage at the back. The entire first level accommodates modern, easy care tiled living areas with ceiling fans. A contemporary kitchen with dishwasher and pantry is only separated from the living area by the central bench/breakfast bar, granting an open plan, spacious aesthetic. Adding to this impression is the flow on to a generous, private balcony. Upstairs you will find two spacious bedrooms with both having built-in wardrobes and ceiling fan in the master bedroom. Bathroom facilities are modern with a full size shower, vanity and w.c.
Now is the opportunity to purchase this 'as new' property so close to amenities without paying thousands more for a brand new unit further afield. Investors can also relax knowing there are quality tenants in the property managed by the Reece Realty Property Management Department.